That doesn't sound like a big deal to some, men yo nou ki fè fas ak chval keu Sendwòm kanpe pou nenpòt ki kantite tan se pa yon opsyon. One of the things CES takes from you is leg strength. Even if feeling returns, fòs pa gen dwa. 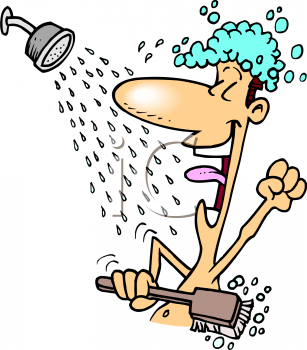 So to stand in the shower for the few minutes it takes to shower, epi ajoute efò fizik la nan douch, se yon gwo etap enpòtan pou m '! One letdown though is that it did take so much strength that I can't do it every day, or even most days... ankò. But the future is before us and we shall see what it brings, men pou kounye a mwen pa ka twou chèz la douch. I am currently passing Month 13 ak CES, so I've really got to get busy on my Month 12 ak Mwa 13 rapò! Hope to have them up this weekend.